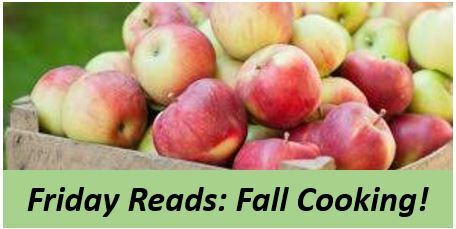 If you’re already looking for perfect recipes for fall entertaining, these cookbooks might just have the fix. See what grabs your fancy – and your palette – from these featured titles. And if you’re looking for even more recipes and ideas, check out Taste Cooking, our online cooking/food magazine, with scrumptious recipes like Spanish Potato Omelette with Roasted Peppers, which looks like the winner of your next brunch menu. Venerated caterer Peter Callahan compiles his 30 plus years of entertaining experience for serving visually stunning and palate-electrifying food in new ways. You’re invited into his world of whimsy and wit as he shares brand-new signature hors d’oeuvres and expands his repertoire for the first time to offer ideas for tablescapes, buffets, seated dinners, and bars. Peter brilliantly breaks down his high-end serving style with simplifications and shortcuts, enabling you to throw the coolest of parties—regardless of your skill level, the size of the crowd, the venue, or the theme. The definitive word on tacos from native Angeleno Wes Avila of Guerrilla Tacos, who draws on his Mexican heritage as well as his time in the kitchens of some of the world’s best restaurants to create taco perfection. Homebrew guru Emma Christensen presents accessible hard cider recipes with modern flavor profiles that make for perfect refreshments across the seasons. This lushly photographed cookbook features recipes for basic ciders, traditional ciders from around the world, cider cousins like perry, and innovative ideas that take ciders to the next level with beer-brewing techniques and alternative fruits. With Christensen’s simple, friendly tone and 1-gallon and 5-gallon options, this book’s fresh and fizzy recipes prove that cider-brewing is truly the easiest homebrewing project–much easier than brewing beer–with delicious, fruit-forward results! Toasty warm in the winter and cool in the summer, Aimée’s comfortable kitchen is a place where the family gathers, cooks together, and celebrates everyday life. In The Simple Bites Kitchen, she brings her love of whole foods to the table and shares heart-warming kitchen stories and recipes that are nutritious, fairly simple to make, and utterly delicious.